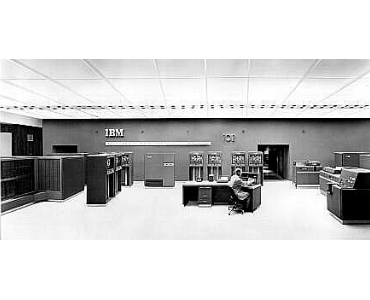 The IBM 702 is seen in 1952 at IBM's new Data Processing Center in its headquarters at 590 Madison Avenue in New York City. The equipment shown in the image (left to right): arithmetical and logical unit, eight magnetic tape units and power supply, console (foreground), card punch, printer, and card reader. 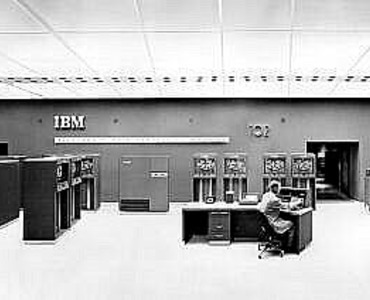 Several units of the 702 system are not shown, including the magnetic drum memory, auxiliary magnetic tape units, and control and electrostatic storage facilities.